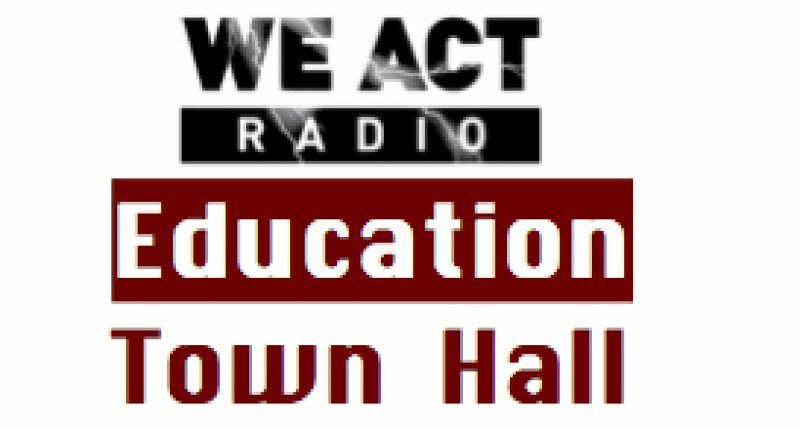 DC’s Shaw Middle School, at the center of complex controversy, and Black Lives Matter at School Week of Action in the District on the next Education Town Hall. Listen at 11 a.m. EASTERN on Thursday, February 14, via TuneIn or by visiting We Act Radio and clicking on arrow at upper left (NOTE: Not all “listen” buttons are working at present). first segment: Nia Nicholas, librarian at DC’s Anacostia High School, and Nqobile Mthethwa, Research Fellow at the Zinn Education Project, discuss Black Lives Matter at School in the District. DC’s participation in the now annual Week of Action was shepherded by DC Area Educators for Social Justice, a project of Teaching for Change. See Teaching for Change and Black Lives Matter at School on the nationwide effort. second segment: Alex Padro is a long-time Advisory Neighborhood Commissioner in the Shaw neighborhood, and Suki Lucier is a parent at Seaton Elementary, which feeds Shaw Middle School, and president of Seaton PTO. They join the Education Town Hall to discuss the history and future of the middle school.